Constitution Day in Moldova is celebrated on July 29. Unlike some other countries, the Republic of Moldova does not celebrate its Constitution Day as a public holiday, it is simply an observance. The current Constitution of Moldova was adopted on July 29, 1994 and came into force two months later. It was preceded by four constitutions adopted during the Soviet era: the 1925 Constitution of the Moldavian Autonomous Soviet Socialist Republic, the 1938 Constitution of the Moldavian ASSR, the 1941 Constitution of the Moldavian Soviet Socialist Republic, and the 1978 Constitution of the Moldavian SSR. All these constitutions were based on the principles and provisions of the respective Soviet Constitution. When Moldova gained independence from the USSR in 1991, the drafting of the new supreme law of the country began. 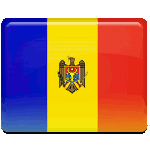 The new Constitution defined Moldova a sovereign, independent, unitary republic. It set the framework for the government of Moldova and established an independent Constitutional Court. Since its adoption, the Constitution of Moldova has been amended several times. There were some unsuccessful attempts to amend it as well, such as the Moldovan constitutional referendum of 2010.